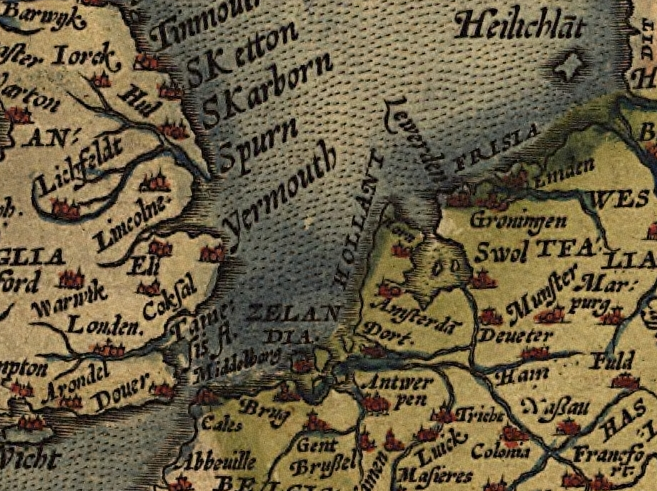 Flood Security in the Medieval and Early Modern North Sea Area: A Question of Entitlement? Abstract: Starting in the later Middle Ages, the coastal wetlands along the southern North Sea area were increasingly hit by a series of catastrophic storm surges. Deeply rooted in the collective memory of coastal society, these flood disasters are mostly discussed as products of meteorological disturbances, environmental vulnerability or technological failure. In this article, an alternative reading is proposed, drawing attention to massive distortions in the social allocation of flood protection in the later Middle Ages, which help to explain the increased frequency of storm disasters. Building on Amartya Sen’s original entitlement approach, it is argued that the right of coastal peasants to flood security often witnessed severe setbacks preceding many flood disasters, caused by adverse economic conditions, but also by an increasing violation of their entitlement to flood protection mainly by non-peasant groups, backed by an expanding state power. Introduction: All over the North Sea Area the later Middle Ages saw repeated flood disasters and massive land losses in coastal wetlands: in England, the Low Countries, Northern Germany and Southern Scandinavia thousands of hectares of reclaimed land and hundreds of villages were lost to the sea. For instance, in the Scheldt Estuary in the present-day province of Zeeland (The Netherlands), more than 110 medieval villages were permanently lost between the later thirteenth and the early seventeenth century. And on a single island off the west coast of Schleswig-Holstein in Northern Germany – the island of Strand – more than twenty villages disappeared, including the commercial center of Rungholt, some of them during the so-called Second Marcellus Flood of January 1362 and then the rest in the Burchardi Flood of October 1634. In the last decade, research into historical flood disasters has become increasingly popular, not least because of the general surge in scientific and public interest in all kinds of environmental risks that might be climate-related. Historical enquiries have the advantage of offering a long-term perspective on both the occurrence and the impact of flood disasters, which always turn out to be the product of a complex interaction of environmental and social factors. The idea of an ‘Age of Storms’ in the later Middle Ages was already well rooted in historiography in the 1970s and 1980s, based on early research on extreme weather conditions by, for instance, H.H. Lamb, E. Le Roy Ladurie and M.K.E. Gottschalk. Disastrous North Sea Storms are usually produced by Atlantic depressions North of Scotland, which subsequently move south to the narrow southern part of the North Sea. The wind sweeps up the water, which, combined with high tide, can produce extreme high water and catastrophic flooding. In the 1980s an increased frequency of such storm activity during the Later Middle Ages was attributed to the colder and windier climate at the end of the so-called Medieval Warm Period, and to the coldest periods of the Little Ice Age that followed. The increased frequency of such storms might have exacerbated periods of economic and demographic downturn, like the crisis of the fourteenth century, as already put forward for England by M. Bailey in 1991. Both from a social and environmental point of view, coastal wetlands in the later Middle Ages had become particularly vulnerable to storm flooding.